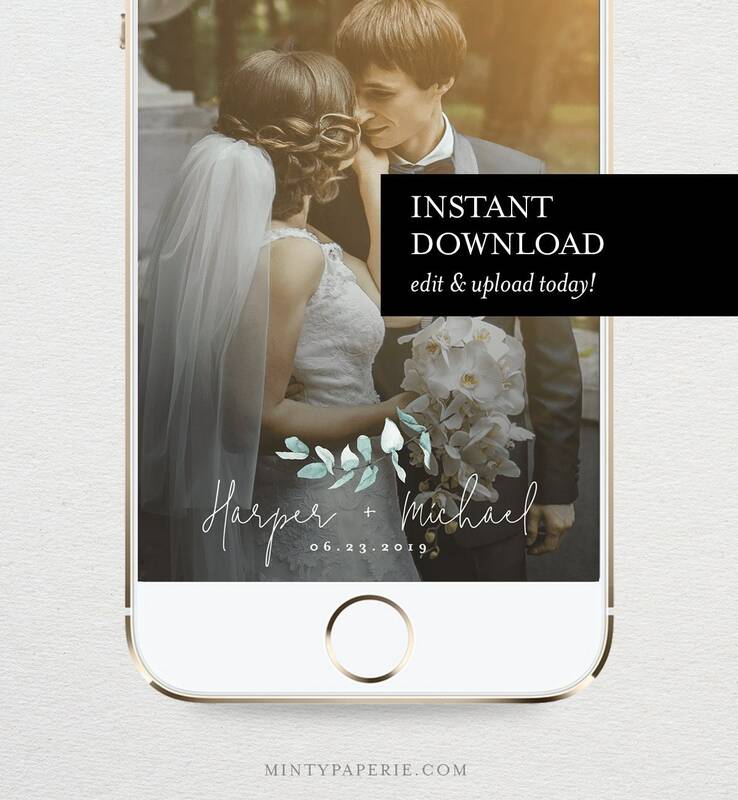 This listing is an "INSTANT DOWNLOAD" that includes a Wedding / Bridal SnapChat Geofilter template. A simple way to make your wedding even more memorable and unique. 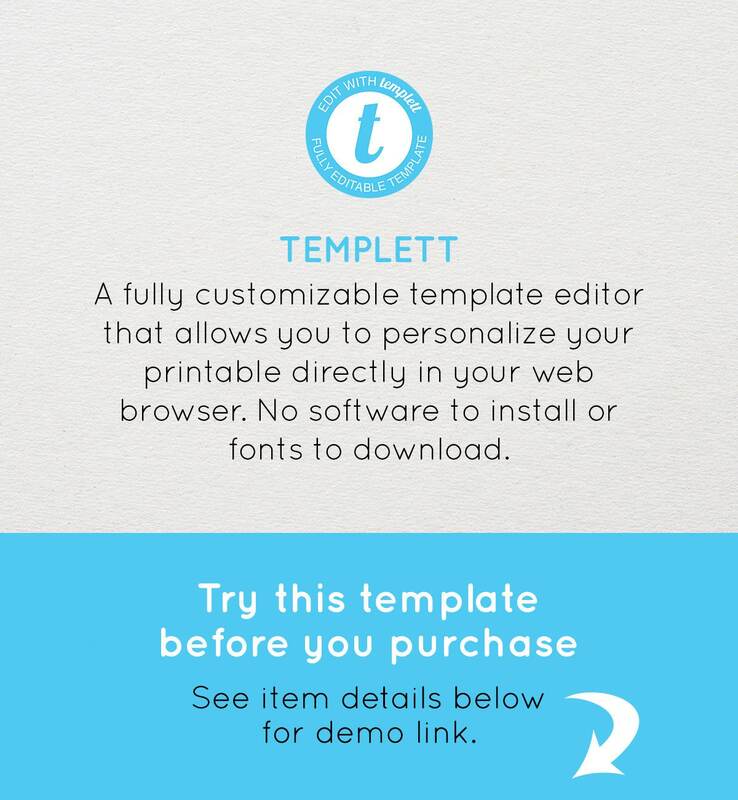 Access your template within minutes of purchase and edit in TEMPLETT - A fully customizable template editor that allows you to personalize your SnapChat Geofilter directly in your web browser. 4. 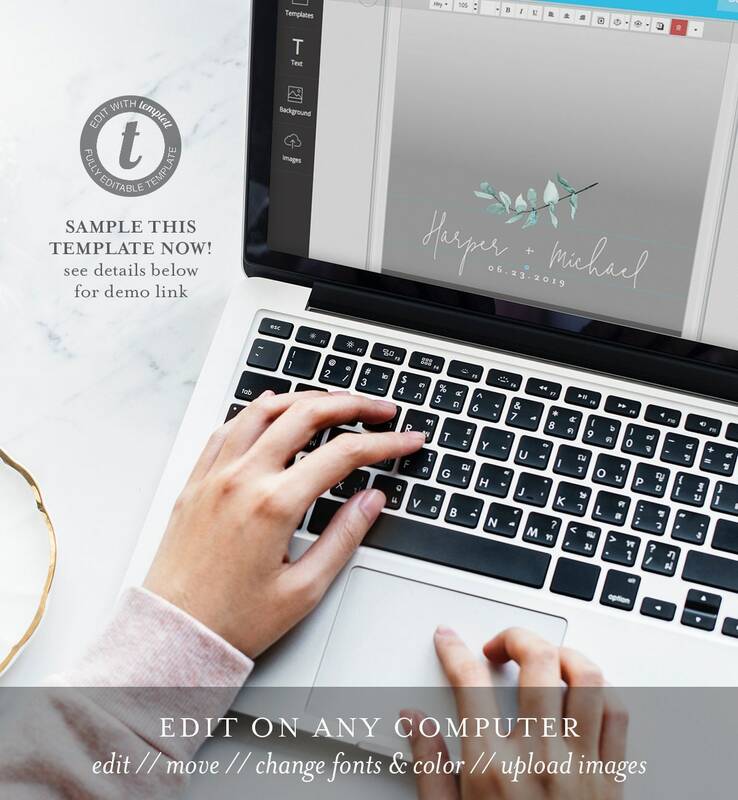 Upload to Snapchat website (https://www.snapchat.com/geofilters). Please note: submitting a Geofilter on Snapchat is an additional cost to the purchase of this template. • This template can only be edited on a desktop computer. It will not work on a tablet or mobile device. • Using a geofilter on Snapchat is an additional cost, which start at $5 and depends on location, area size and duration of your event. • Snapchat does not allow hashtags or full names (first + last) on geofilters. • SnapChat needs at least 1 day for approval. We recommend submitting 3-4 days prior to your event to allow enough time if any issues may arise.